This week I'm moving across the state of Washington to a new day job (yay!). I'm focused on the transition -- finding housing, hooking up the utilities, and getting involved with the new job. That's caused me to be late in getting a new post up. It has also caused me to think on transitions in a narrative. This is the beginning of a post -- I'll try to add to it in the next day or so. Often in an edit I'll see a need for a transition. Writers sometimes just leap over time and space without giving the reader a clue as to what's going on. This is caused, I suspect, by the usual syndrome -- the writer sees all in his/her head but just doesn't get it on the paper. So how do you get from there to here…or from then to now? I advocate using character and action. The following transition, in a book, would include a blank line between paragraphs just as you see here to denote a change in place or time. This is a simple shift from one location to another. Jennifer knew there was only one place to find Jason. She raced out the door and down the stairs to the parking garage. As soon as Jennifer hit the smoky air in Timothy's Tavern it hit right back -- eyes, throat, lungs. God, how could Jason stand this? Jennifer drove to the tavern (she raced to her parking garage). She is inside (so must have parked her car and come in the door). Note how the transition is motivated by action that leads the reader to expect movement. Getting Jennifer into her car. Showing Jennifer driving down Main Street and taking a hard left on Pine. Slamming the door of her car and racing across the parking lot at Timothy's Tavern. Opening the door to Timothy's Tavern and running in. Here's another style of transition from one of my works, We the Enemy. The character is deep in a dream, and I wanted a way to ease both he and the reader into a waking state. So I incorporated the way dreams often work -- intruding stimuli are incorporated into the dream state. The character is dreaming about shooting someone. He pulls the trigger a second time. Again she staggers. Then she dives after the child, her muffled laughter falling away. He hears a strident buzzing. The blue of sky dissolves into the beige of his walls, and his alarm clock yells at him. Jake gropes and turns off the alarm, then realizes that he holds his breath, his jaws clenched and aching. Bright sunlight glares through his window. This transition does two things -- bring the reader out of the dream narrative and into the story narrative, and signals a time change -- it was night and dark when the character fell asleep. Here's an example of a narrative that needs transitional work from my edit files. It's from a vampire romance; I've changed some details. I'll give it to you straight, then again with my comments. She slowed her breathing and reached for the deep sleep. Instinctively, her mind connected with Randall's. Together, they drifted into sleep. Their breaths left their bodies at the same time. Their hearts stopped beating as one. Randall stared at the faces gathered before him. Some of them were good friends, others were mortal enemies, like. He took a deep breath and said firmly, "I've called this Council today to introduce my intention to take a mate." Randall stared at the faces gathered before him. (A little transition and scene-setting would be good. What time of the day/night is it? Where are they? How many council members? What are the attitudes emanating from them? Is Randall on his throne? "Faces" suggests a clump of people standing before him? Are they? Or are they sitting in chairs? Around a table? What?) Some of them were good friends, others were mortal enemies. (Technically, "faces" can't be friends or enemies. How about: Some of them belonged to good friends, others to mortal enemies.) He took a deep breath and said firmly, "I've called this Council today to introduce my intention to take a mate." 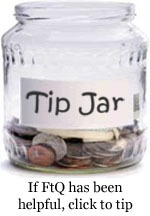 Tip Jar: visitors have asked for a way to lay a dime or two on me and, I'll confess, it would be helpful. So if you want to chip in, click here. And many thanks.